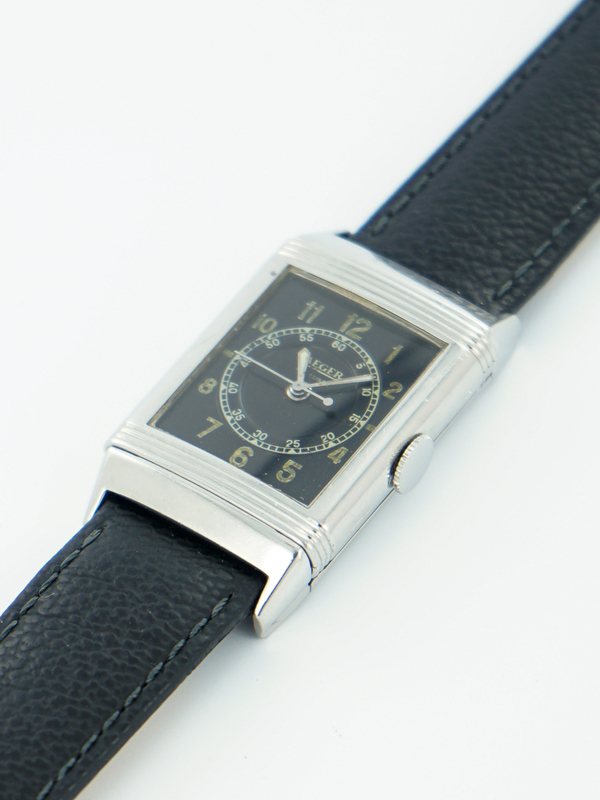 At Sabiwatches, we like iconic watches and Jaeger-Lecoultre. 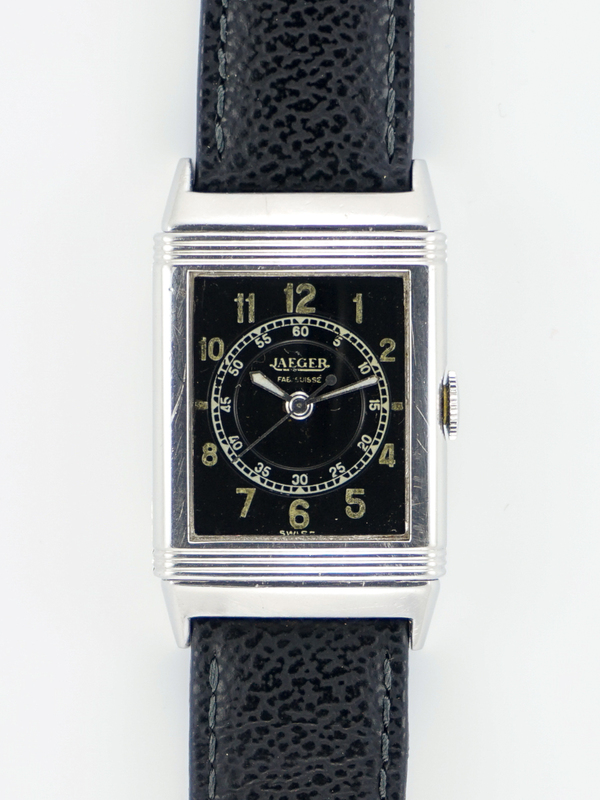 So when it comes to a 1930s Reverso featuring a black glossy dial. 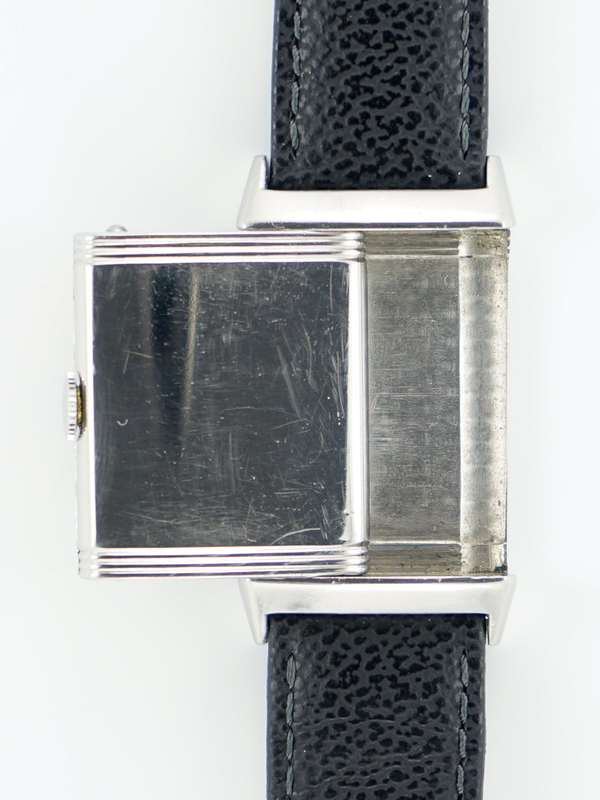 This gorgeous Reverso, just serviced, was lucky enough not to have its back engraved. 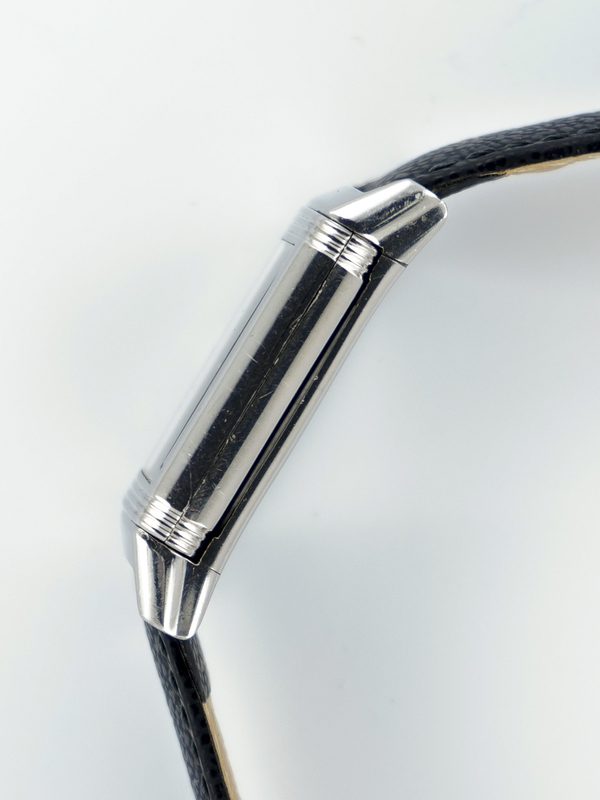 It’s running as it should and will be a long time companion for a distinctive gentleman. 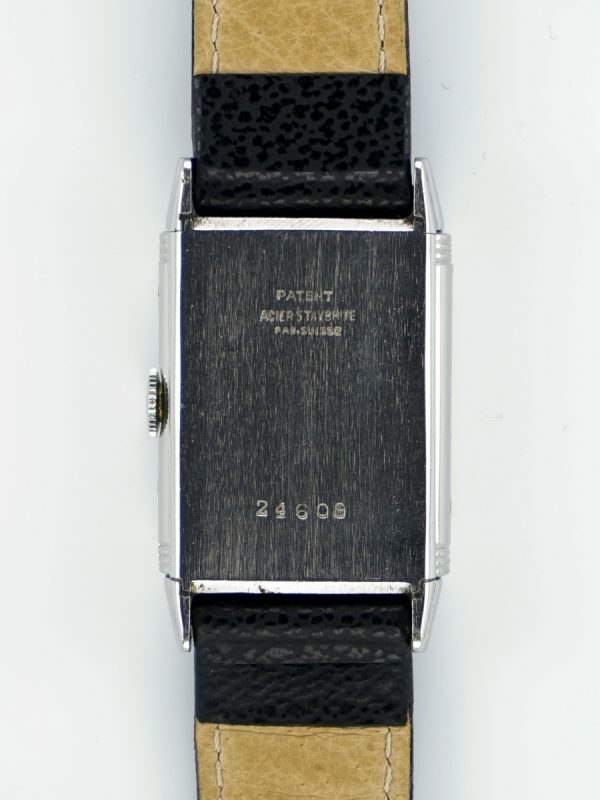 Branded Jaeger only, it shows the “Fab Suisse” wrinting, distinctive of watches made for the french market. Overall condition is excellent. Dial is in superb condition. Case is also in very nice condition, not engraved. Flip mechanism is tight. Glass is in perfect condition. 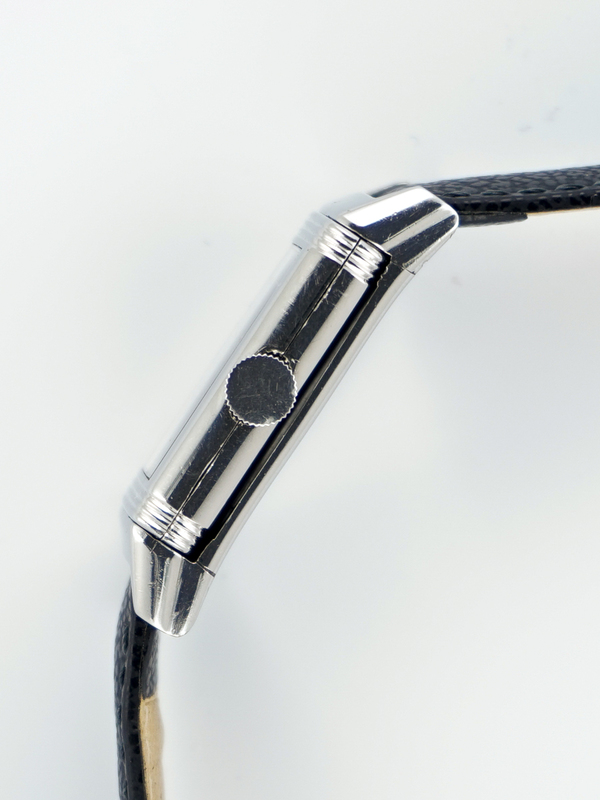 It comes on a new black leather strap.